Offering free consulting, mentoring, funding and physical space to help start and grow your business! What is EPICentre: EPICentre refers to all of the entrepreneurial activities on campus. From in-class education, to extra-curricular events and activities, we are giving students and recent graduates the opportunity to start and grow a business with all of the resources required to successfully do so. EPICentre Vision To support the transformation of people into entrepreneurial thinkers, and innovative ideas into successful economic and social enterprises through training, mentorship and networking. EPICentre Mission: 1. To provide experiential entrepreneurial learning opportunities that enhance University of Windsor’s mission regarding education and research. 2. To provide skills, tools, and network to entrepreneurs and professionals to launch and grow economic and social initiatives. 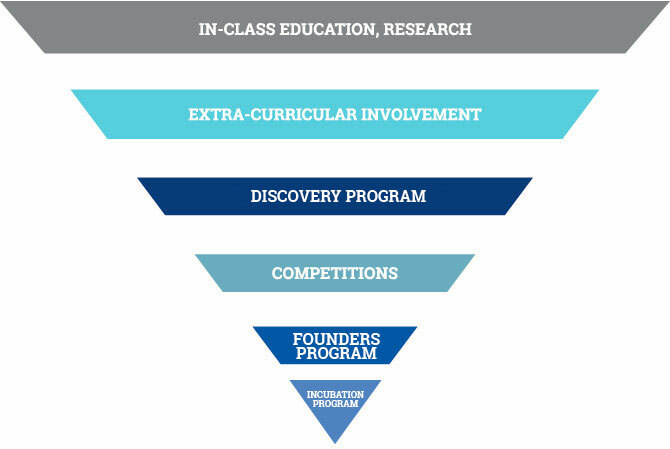 What We Do: In-Class Education, Research: As demonstrated in our activity funnel, EPICentre looks to engage students through in-class education, as well as research performed by professors involved in entrepreneurship. EPICentre has become involved in classes across campus, in faculties such as Engineering, Business, Law, Fine Arts, English, Music, and Computer Science just to name a few. Extra-Curricular Involvement: Students and recent graduates typically follow the funnel to stage two, extra-curricular involvement. Here, EPICentre offers activities such as a Guest Speaker Series, Start-Up Weekends and Workshops to aid in educating students and sparking their entrepreneurial spirit outside of the classroom. Consulting/Mentoring: Once students and recent graduates are interested in pursuing the idea of starting a business, EPICentre offers FREE business and legal consulting. Additionally, these students and recent graduates can also take part in peer-2-peer consulting, allowing the student or recent graduate the opportunity to ask a successful entrepreneur from the community anything related to their business. Once again, these fantastic opportunities are free and often a once-in-a-lifetime opportunity. Competitions: Students and startups can apply to various on and off campus entrepreneurial competitions (such as EPIC Blue Sky Competition, RBC EPIC BMC Competition) to put their business idea to the test for a chance to win thousands of dollars in start-up funding. EPICentre will aid in financial support, as well as mentoring to ensure that they are properly prepared to travel around the world to compete and win funding to help their business grow. EPIC Discovery Program: The EPIC Discovery Program is available to University of Windsor visionaries who are at the beginning or “discovery” stage of their idea. The program will allow students to validate their ideas by completed elements of the Business Model Canvas before moving on to other EPICentre startup programs. Learn more about the EPIC Discovery Program here. EPIC Founders Program: The RBC EPIC Founders program is a three-month intensive program intended to teach startup founders the theory of the Lean Startup, while working through the Business Model Canvas and Starting Lean methodology. Founders work and are paid full-time in summer to work with mentors on their minimum viable product. Learn more about the EPIC Founders program here. EPIC Incubation Programs: The EPIC Incubation Program provides startups with support and resources to grow their business such as: dedicated workspace, mentoring, workshops, funding opportunities and more. The program is available to students, alumni startups and industry partners. 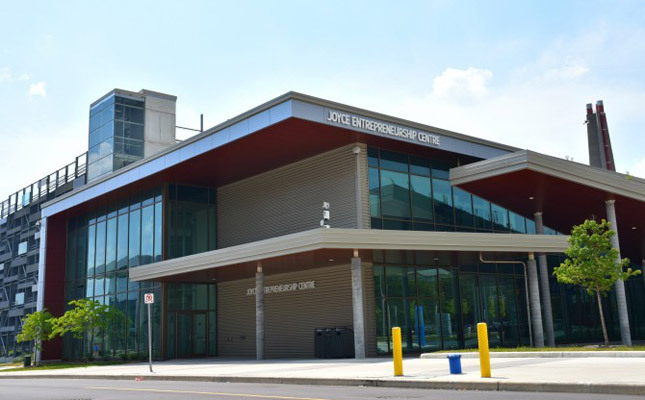 Learn more about the EPIC Incubation Program here.